Travis Thomas is a rookie scientist on the verge of publishing his first paper. He’s about to name two new species of alligator snapping turtle when he’s scooped by Raymond Hoser, an amateur herpetologist who goes by the name, “The Snakeman.” Hoser has named hundreds of animals using methods that some scientists call sloppy. The latest episode of Undiscovered uncovers how an outsider is able to use the scientific communities rules against it. Undiscovered co-host Elah Feder and producer Alexa Lim join Ira for a preview. Subscribe to Undiscovered wherever you get your podcasts. Read Travis Thomas et al.’s 2014 paper splitting alligator snapping turtles into three species, Raymond Hoser’s 2013 paper, Raymond’s response to Thomas et al. (pg. 19), and a later paper arguing for a different classification. Check out Raymond’s website where he responds to his critics, lists the animal taxa (species, genera, etc.) he’s named, and posts the Australasian Journal of Herpetology. Crack open the International Commission on Zoological Nomenclature’s big book of rules for naming animals. Read articles about “taxonomic vandalism” that criticize Raymond Hoser. Dive into this great Nautilus piece on prolific species namers in history and the ire they provoked. 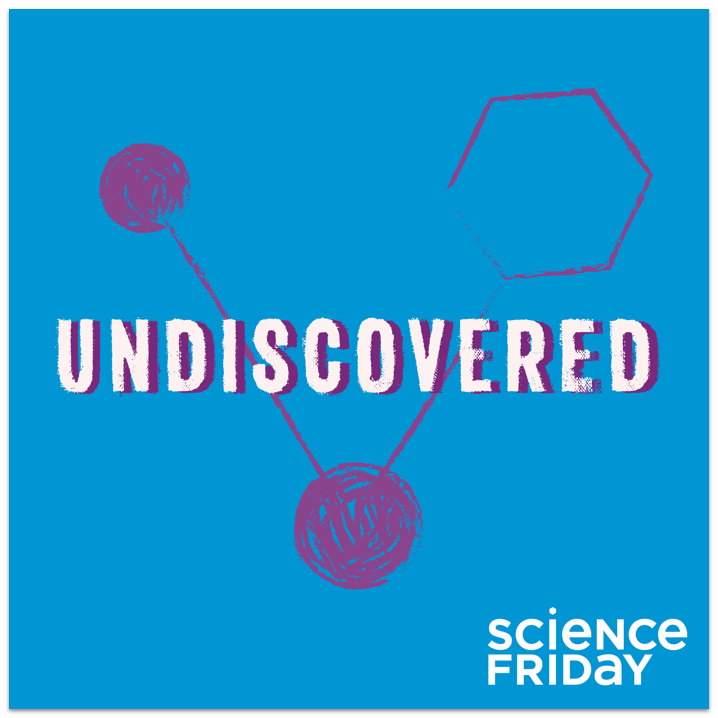 IRA FLATOW: Our science documentary podcast, Undiscovered is back with its second season. And this week the Undiscovered team investigates a cross-oceanic turtle feud. That’s right, a turtle tiff over taxonomy. See what I did there? Here to tell the tale of the turtle is Elah Feder, co-host of Undiscovered. And joining her this week is our Sci-Fri producer, Alexa Lim, who helped report this episode. Hi, both. Welcome to you both. ELAH FEDER: Thanks for having us back. IRA FLATOW: So what’s this turtle feud (LAUGHING) Alexa? I assume that the turtles aren’t the ones that are feuding, right? ALEXA LIM: I am happy to report that no turtles were harmed in the making of this episode. So no, no turtle battle, but it’s a battle between scientists. And this story starts out with Travis Thomas. He’s a PhD student at the University of Florida studying turtles. And he’s studying a particular type of turtle called the alligator snapping turtle. Ira, I don’t know– have you seen an alligator snapper, as they’re called? IRA FLATOW: No, I have not. ALEXA LIM: OK. Well, Elah and I went down to Florida to visit Travis, and we got to meet one of these turtles. And let me tell you, the best way to describe them is scary. And these alligator snappers look more like dinosaurs than turtles. ALEXA LIM: They have these spiky shells, and this beak that seems to stay open, ready to maybe snap your tiny finger off. ALEXA LIM: Or worse. And this is a clip from our meeting with Travis and one of those turtles. ELAH FEDER: Whoa! Oh, my god! ALEXA LIM: Do they always just open their mouth like that? TRAVIS THOMAS: Usually, yeah. It’s a defensive sort of mechanism. Don’t panic, just so you just keep that firm grip. ELAH FEDER: (GASPING) Oh, my god. ALEXA LIM: Are you upset? Do not panic. TRAVIS THOMAS: You get a picture? ELAH FEDER: (GASPING) I’m fine. (WHISPERING) Wow. Yeah, it wasn’t my proudest moment. IRA FLATOW: You did panic? ELAH FEDER: I did panic a little. That was me, Elah. In my defense, this turtle was very burly and frightening-looking, massive claws. We actually got a clip of the sound of the claws scratching the floor. ALEXA LIM: And if that’s not enough, Ira, this is a photo. IRA FLATOW: Oh, wow! It’s bigger than you are! ELAH FEDER: That’s not the one I picked up. IRA FLATOW: It’s a huge scary-looking turtle. IRA FLATOW: What was Travis’s– why was he studying these turtles? ELAH FEDER: So this is where the feud part comes in the turtle feud. 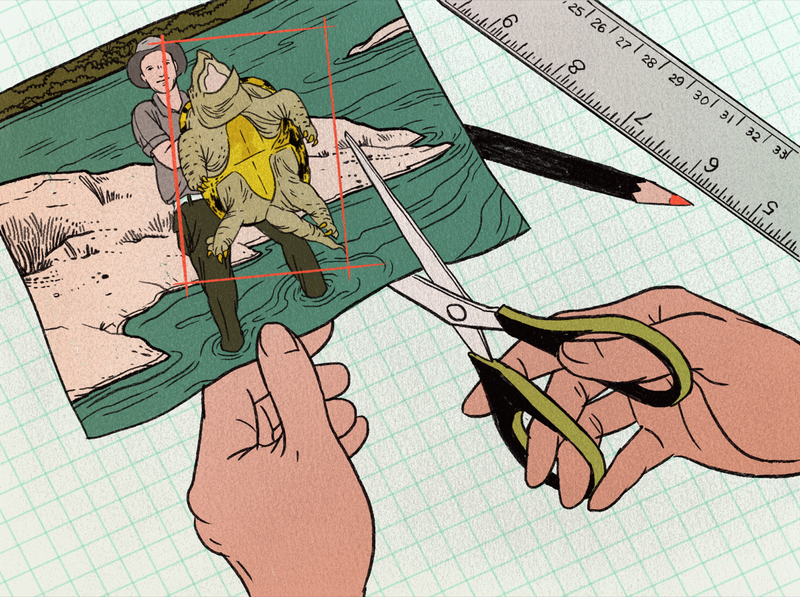 Travis and a few other scientists– for years, they were trying to show that alligator snapping turtles were not just one species like we’d thought before, but a few separate species that we lumped together. And just when they’re ready to publish in 2013, just when they’re about to announce these new species, they find out they’ve been scooped, that someone else has beat them to the punch. How do you interrupt that? ELAH FEDER: There’s new intrigue. IRA FLATOW: (LAUGHING) LOL here with Elah and Alexa. Now OK, so being scooped– that sounds like a tough break. ELAH FEDER: It is a tough break. And that in itself would not be a story. This is something that happens all the time, unfortunately, to scientists and to journalists. But this was a little weirder. The paper that scooped them didn’t have a method section or results section, the kind of thing you usually see in a science paper, which meant it didn’t describe you know any new scientific evidence. And midway through this paper, it hits a pause on the whole turtle question and turns its attention to local politics in Australia, which is not what you normally see in a taxonomy paper. So Travis takes a look at who wrote this very odd paper, and it’s somebody that he’s never heard of. His name is Raymond Hoser. IRA FLATOW: Don’t try to use it. ALEXA LIM: Yeah, yeah. And he’s got a big personality. This is a clip from his YouTube channel. RAYMOND HOSER: Snake Man here with my favorite snake. It is a death adder, of course. I pick the snake up in my hand. Sorry about that. And I kiss it, watch. Moral of the story is, if you’re nice to your snakes, they probably won’t bite. Let’s try that one again. ALEXA LIM: Yeah, so that’s The Snake Man, Raymond Hoser. And he’s published hundreds of papers naming over 1,000 types of animals, lizards, snakes, the occasional turtle. But a lot of scientists say he’s churning out a lot of quantity but not so much quality, so that he’s flooding their field with these animal names based kind of on slippery, sloppy science. IRA FLATOW: So how is able to name a species without good science backing it up, Elah? ELAH FEDER: Yeah, so this was surprising. It turns out that in zoology, they have this big rule book for naming animals. But the main rule is you pretty much have to yell dibs. It doesn’t matter if you’ve got any science to back up your new animal declaration. You just need to publish first. You can even self-publish if you want. And so that’s kind of what this episode is about, in part, is how scientists got into this mess. And it’s also, of course, about what happens with Travis and The Snake Man. We went looking for The Snake Man. And the story got more complicated than we first thought it would be. IRA FLATOW: That makes it a good story. It’s a real story. ELAH FEDER: I went back and forth on– anyway, you’ll find out. IRA FLATOW: You’re in season two of this? Was this the scariest (LAUGHING) episode you’ve had, do you think? ELAH FEDER: Was it the scariest? We do have some life and death– yeah, the stakes were not quite as high as in some other episodes. But we definitely got– there were we were very nervous. Feuding about turtles is serious business. IRA FLATOW: All right, Elah Feder, co-hosted and produced the Undiscovered podcast, along with Annie Minoff. Alexa Lim is a Science Friday producer. Thank you both for taking time to be with us today. And if you want to listen to the latest episode and all the rest of them, they are on our web site, undiscoveredpodcast.org. Undiscoveredpodcast.org or wherever you get your podcasts. Thank you, guys. IRA FLATOW: One last thing before we go. Microsoft co-founder and billionaire philanthropist Paul Allen passed away this weekend. In 2004, he told us how he decides to spend his wealth. PAUL ALLEN: Yeah, I guess it’s pretty obvious that science, and space exploration, and technology in general are really in my blood. And I just try to find things that either need to be done, or should be done, or where I can make a difference in a significant way. And the things I’ve been able to participate in have been very, very, very exciting. IRA FLATOW: Paul Allen leaving us this week at the age of 65. The discovery that a methane-burping microbe was not a bacterium, added a new, third branch to the tree of life: The Archaea.